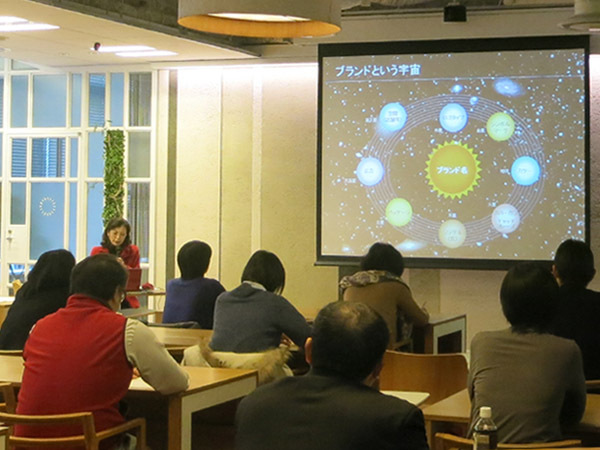 On 24th January 2014, our president Ms. Keiko Yokoi lectured at “Marunouchi Space-Man Class” (in Japanese) of “Morning University Of Marunouchi” which has been opened as the adult education university in Marunouchi. This class is aimed to excavate and produce of “Marunouchi Space-Man” who can design the creative activities at the universal viewpoint. And this time, Ms.Yokoi lectured at 6th course. A lot of members listened her studiously about the vision of the universe, the summary of our activities to contribute with the power of words as the center, the introduction of Astronaut Mr. Hoshide’s message and so on for the theme of this class “Universe × Word × Brand”, however it was in the early morning. « We invited middle and high-school students of stricken area by Great East Japan earthquake to “ASEAN-Japan Music Festival”.